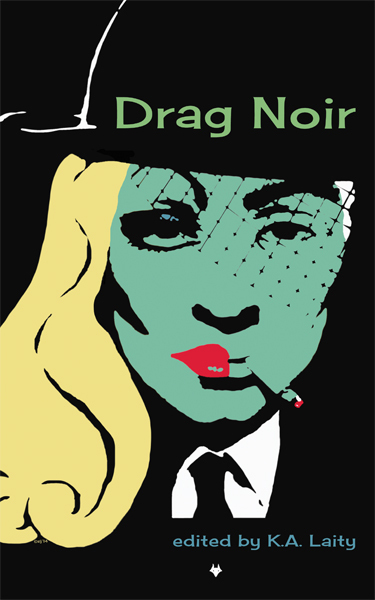 Next Rogue up — why it’s Drag Noir star Tess Makovesky. 2. What crime would you really want to get away with? 3. What author can’t you do without? Too many to mention since I’ll happily devour books by almost anyone if they capture my interest. However current favourites include Ann Cleeves, Peter May, Joanne Harris and Joanna Trollope. I love Cleeves’ invention of Vera Stanhope: she’s bossy, impatient, often rude, but warm-hearted and so true to life. 4. What movie best captures the criminal life? Some of the low budget British films by the likes of BBC Films or Film Four are pretty good at that. Something like Mona Lisa, which perfectly sums up the pointlessness and tedium of a lot of crime, or The Bank Job, or for a more modern take on gang culture amongst the younger generation, My Brother the Devil. 5. Are you a criminal mastermind or just a mild-mannered dreamer? There are, broadly speaking, two types of drinkers. There is the man whom we all know, stupid, unimaginative, whose brain is bitten numbly by numb maggots; who walks generously with wide-spread, tentative legs, falls frequently in the gutter, and who sees, in the extremity of his ecstasy, blue mice and pink elephants…. The other type of drinker has imagination, vision. Even when most pleasantly jingled he walks straight and naturally, never staggers nor falls, and knows just where he is and what he is doing. It is not his body but his brain that is drunken. Paul D. Brazill has a wicked sense of humour and a bunch of gritty stories that make you wince even while you’re laughing. His stories follow the lot of broken-down last-chance guys, tough dames and would-be swindlers who might be just a little too clever for their own good to last long. However promising things might be at the start, it’s all bound to go pear-shaped before the day’s over. A Case of Noir gave us Luke Case, a down-at-the-heel wanderer who allows events to take him whither they will, yet he always seems to float to the top of the wreckage with an ease that surprises even him. Gumshoe details the career of would-be shamus Peter Ord, who drinks his days away in a northern seaport and occasionally manages to solves cases — mostly by sidestepping the carnage when everything goes haywire. Roman Dalton, Werewolf P.I. is just what it says on the tin: wild adventures with a gritty investigator who has to deal with the forces of evil (living and undead) while keeping one eye on the waxing moon. Sometimes I suspect Brazill has captured characters that escaped from some unwritten Tom Waits’ song. Once you step into his worlds, you won’t want to leave. I interviewed Brazill on the occasion of his new release Guns of Brixton, out this week from Caffeine Nights. Jack London wrote, “A good joke will sell quicker than a good poem, and, measured in sweat and blood, will bring better remuneration.” Is that why your books are always funny? It’s a nice thought but my books sell like cold cakes, so maybe not many people find them funny. Everything’s funny, though, isn’t it? Guns Of Brixton, is a short, sharp slice of PUNK FICTION published by Caffeine Nights Publications. When London gangster Mad Tony Cook gives aging thugs Big Jim and Kenny Rogan the simple task of collecting a briefcase from northern courier Half-Pint Harry he doesn’t suspect that the courier will end up dead in his lock-up, or that Kenny and Big Jim will then dress up in drag to rob a jeweler’s shop and lose the coveted briefcase. A fast-moving, wild, and hilarious search for the missing briefcase quickly ensues, with fatal consequences. Has Brixton become too genteel? You’re always recommending terrific music. What role does music play in your writing? Do all writers secretly wish to be rock stars? I suspect a lot of writers secretly wish to be musical journalists when that was a cool thing to be, like the bloke in High Fidelity. I’d certainly like to be a songwriter, though a lot of the singers I’d like to write for– like Dusty Springfield — are dead. I will write a musical one day, though. I’d be first in line to get tickets to that. Do you believe in tortured artists? There are quite a few who deserve to be tortured — no names, no pack drill. Is Brit Grit the new British Invasion and if so, which band would you be? Freddie & The Dreamers. Punk Fiction is the new thing, though. And I’m The Rezillos. I stand corrected. The Rezillos rock. Saw them in Dundee a few months back. I know you’re a fan of The Portrait of Dorian Gray. If you were to get your portrait painted would it be real or surreal? It’s all in the eye of the beerholder. If you could be Batman for a day would you tackle crime in Gotham City or just swan about in your fine costume? I’d just get pissed in Wayne Manor, probably. I bet he’s got a stellar liquor cabinet. What’s coming up next for you? I’m tidying up the follow up to Guns Of Brixton, it’s called Holidays In The Sun. More PUNK FICTION. The Neon Boneyard should be out over the next few months — it takes place in The City and features Roman Dalton-Werewolf PI and his crew. I’ve a story in the next issue of All Due Respect magazine called ‘The Last Laugh’ and Spinetingler Magazine will be publishing a yarn called ‘The Postman Cometh’. Oh, and I might write a follow up to A Case Of Noir. You’re a busy man. Write faster, I want something new to read. Thanks for taking the time today, Mr B.
Who’s that howling at the moon? Why it’s none other than our fave werewolf detective, Roman Dalton. Paul D. Brazill has a new collection out of tales from the desk of the notorious PI. AK&AQ had the chance to get the writer at knife point and quiz him about the latest publication. Q: Who is Roman Dalton, Werewolf PI? A grizzled ex- cop turned grizzly werewolf who prowls The City’s neon and blood soaked streets. And drinks a lot. Q: How did you create him? Tom Waits is as noir as a very noir thing and his song Drunk On The Moon is one of his noirest. It always made me think of werewolves. So, when the late lamented Dark Valentine Magazine opened submissions for cross-genre stories I just thought of a werewolf/PI crossover called Drunk On The Moon. It seemed natural. Q: Where do these stories take place? The stories take place in somewhere known as The City which is neither here nor there but certainly south of heaven….